Want to test how distractions affect your driving ability? These companies and organizations have created these amazing resources and have made them available online for free. They are great education tools for organizations, schools and communities. MPI’s simulator places users in the driver’s seat using the power of virtual reality to demonstrate the consequences of driver choices. According to MPI, research shows that young drivers are consistently over-represented in collisions related to distracted driving, impaired driving and speeding. 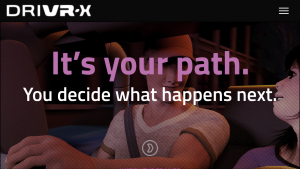 DRIVR-X tackles these issues by giving drivers perspective, greater empathy and better understanding of how their choices have consequences. The app is available for download on both android and Apple devices and can be used in Standard Mode or Virtual Reality Mode. The New York Times has an eye-opening series about distracted driving. 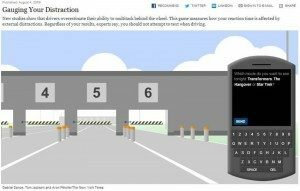 “Through articles, videos and interactive features, The Times has examined the risks of talking and texting behind the wheel. The series also explores the extent of the problem, its origins, and the pressures people feel to stay connected while driving. And the series shows the political, regulatory and scientific dimensions of an issue that has prompted conversations and action across the country, from the Oval Office and statehouses to corporate boardrooms and kitchen tables.” To access their entire series, visit The New York Times Driven to Distraction Series. Toyota USA has teamed up with Discovery Education to create Toyota Teen Driver. 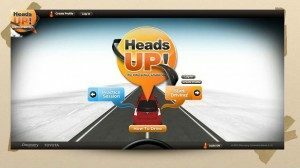 Try out their online driving simulator, Head’s Up and see how well you can drive while dealing with distractions. This simulator requires the operator to not only read and respond to text messages, but they must also manage other common distractions while driving.